Individual lessons are the best way to learn the Alexander Technique. The one-to-one situation enables the concentrated participation and the guidance from the teacher which Alexander indicated was so necessary. A series of lessons over a number of weeks is recommended. Once a week for about 25 weeks is usually enough to obtain a basis of understanding which can be applied outside the lessons. Particular circumstances may cause this to vary. A typical series of lessons includes basic grounding in the principles of the Technique such as recognition of the force of habit, the unreliability of our awareness, learning to pause before a habitual action, and making changes to the way we use ourselves in everyday acts such as standing sitting, walking, lying down. Later lessons apply the Technique to increasingly complex stimuli such as those involved in working life, sport, the performance arts, etc. 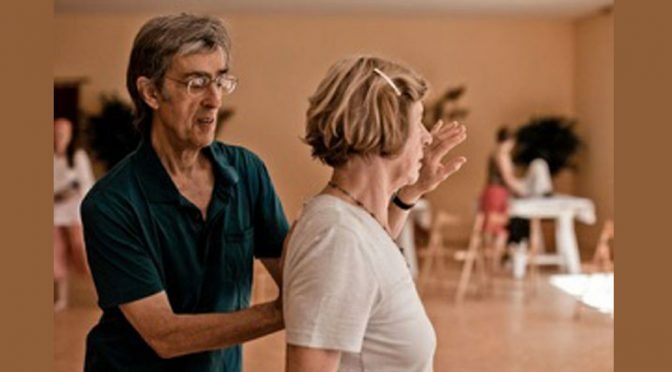 The cost of lessons with Ellie or Peter Ribeaux is £60 for 30-40 minutes. We can also arrange lessons with less experienced teachers and senior students for a lower fee.